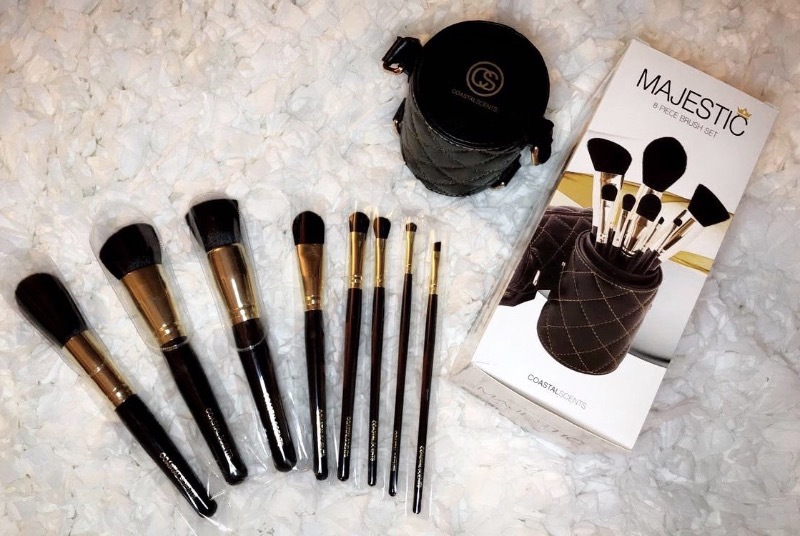 The Majestic Brush Set contains eight elegant, black-handled and champagne-ferruled brushes. The soft, synthetic bristles are perfect for creating a wide variety of looks. All brushes come in a stylish, quilted black and gold leatherine case which doubles as a secure traveling companion and a convenient brush holder. I love the cylinder shaped brush pouch it is very convenient while traveling. It contains 8 must have brushes which is very useful and we can use the pouch as holder which I like about this product. Very very useful and convenient brush set. I really like the set that includes the elegant quilted case with handle! The brushes are soft and won't show makeup easily after using (between an through cleaning! Really wasn't in need of more brushes but glad, I did! Thanks, for the reduced price too!